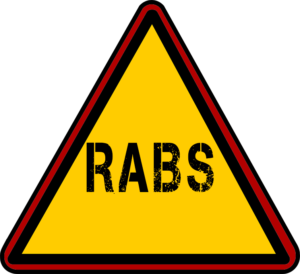 This article covers RABS latest developments, highlighting some key concerns and challenges that need to be addressed. The Department of Transport (DoT) presented a third quarter performance report to the Parliamentary Committee on Transport on the 21st of February 2017. The RABS Bill has subsequently been approved by Cabinet on the 29th of March 2017 to be submitted to Parliament. Clarity was sought on the basis to be used where a beneficiary cannot prove income. Excluding the beneficiary from claiming temporary income within the first 60 days after the accident. Excluding a beneficiary from claiming temporary income prior to reaching the age of 18. Temporary support beneficiary not entitled to inflationary adjustments. A long-term income benefit only payable if submitted in the manner set out in the rules which include details of earnings earned subsequent to the road accident. In the case of an injured person who did not receive a temporary income support benefit – reasons required for his or her inability to earn an income from either the injured person or someone with knowledge of the victim’s inability to earn an income. Basis upon which Administrator is to determine an amount that would approximately represent the victim’s annual post-accident earning capacity. Long term benefit excludes any period before a victim reaches the age of 18. The Administrator may accept a claim for a long-term income benefit subject to the victim participating in a vocational training programme. Conditions prescribed by Administrator to participate in a vocational training programme. A beneficiary of a family support benefit is not entitled to inflationary adjustments. Any benefit may at any time be suspended if the beneficiary refuses to provide or participate in an individual treatment or rehabilitation plan or vocational training programme. The Administrator shall accept or reject a claim within 180 days of submission of the claim. A claim shall bear interest at the prescribed rate from expiry of 180 days after submission of a claim. Exclusion of the Administrator or official’s liability in respect of anything done or omitted in the exercise of any power or performance imposed under the Act, unless intentional wrongdoing is proved. The exclusion of certain classes of victims from claiming from the RABS Administrator. Without also addressing these and other important issues that flow from them, RABS will be destined to fail.